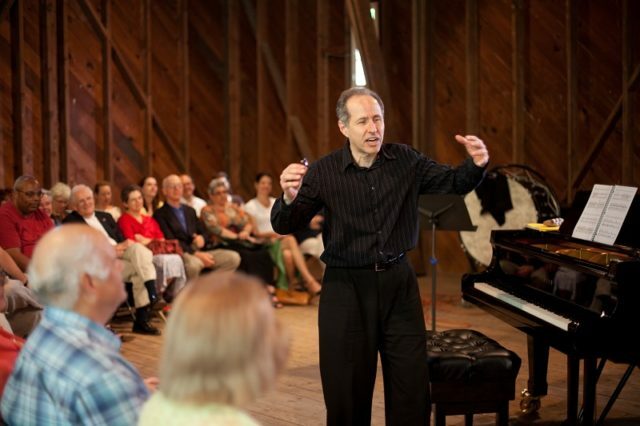 The Music Conservatory of Westchester in White Plains presents the first of four events in its new Musical Masters lecture series for adult music lovers on Sunday, March 3rd, 2019 at 2pm. “The World of Chamber Music: Rational (and Irrational) Conversations,” will be led by Michael Boriskin, Artistic & Executive Director of Copland House. An internationally acclaimed pianist and expert on chamber music, Boriskin will dive into the concept of this genre he describes as “rational people conversing.” He will share his take on the provocative, innovative, and intensely moving musical works written for small instrumental ensembles that inspire these dialogues. With live and recorded performances, his presentation will sample revered classics, lesser-known masterworks, intriguing rarities, and works mixing unusual instrumental combinations, as well as recent pieces that are new benchmarks for coming generations. In a musical adventure, the lecture will explore the span of nearly 250 years of chamber music compositions from Haydn, Beethoven, Brahms, Dvorak, Tchaikovsky, Copland, Messiaen, and much more, discussing the mastery within these conversations both rational and irrational. Following this exhilarating musical experience will be “Brazilian Jazz: From Samba to American Standards” with Jazz Forum Artistic Director Mark Morganelli on March 31st, “Musical Storytelling: The Poetry behind Piano Masterpieces” with acclaimed concert pianist Andrew Armstrong on April 28th, and “Film Music: Groundbreaking Director/Composer Collaborations” with Peabody Award-winning Broadcaster & Producer and WQXR radio host Elliott Forrest on May 19th. These exclusive events are not to be missed!